It began with Shadow and Bone and a girl, Alina, a simple map-maker in the King’s Army. It was set in a world not dissimilar to the Baltic Countries and is immediately gripping, complex and vivid as Alina, under extreme stress discovers her extraordinary powers as a sun summoner and seals her fate as a Grisha. She goes from no one to the linchpin in a world devastated by the fold, a permanent darkness that wastes the land and all the people in it. The Grisha are the power behind the throne. Feared and loathed, but essential in the battles to come against the dark powers. 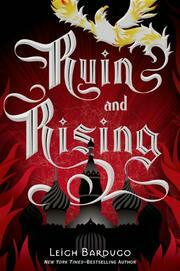 Alina is to be trained as a Grisha and learn how to control and exploit her power. There is one special person in her life, Mal, the boy born close to her own home and a constant – if somewhat unobtainable companion, family even. Even though on different journeys, they cannot bear to be parted for too long. Mal is a tracker, highly skilled at finding anything and he is tasked with finding the first amplifier, which will boost Alina’s sun-summoning skills. If she is to be able to defeat darkness she needs all the power that can be found. Siege and Storm leaves a country battle scarred as Ravka is torn apart by darkness and the cunning rise of The Darkling. If you haven’t discovered the amazing palaces, the powerful writing about extraordinary people with astonishing skills yet, there is time to read the first two books before you get to Ruin and Rising. It’s Game of Thrones with merciless magic. Alina Starkov, now considered a Saint by the populace at large, is weak and imprisoned for her own good in the White Cathedral by the slippery scheming Apparat. She has lost her Sun Summoner powers and they are fooling the faithful with daily appearances and mirror light to keep up appearances. The Grisha seem defeated, demoralised, a few, like Mal, keep in training, ever ready to serve her. But the Apparat keeps her well-guarded underground, in the eternal damp – perhaps to prevent her recovery and reconnection with her Grisha powers. Alina must find all three of Morozova’s amplifiers before she can take on the might of the Darkling. This then is the search for the Firebird that might be a salvation or be the ruination of Alina and Ravka forever. But they have no idea where it might be. Alina is brave but is learning all the times the terrible temptations of power and how it might corrupt her. Old friends keep her grounded to be sure, but can a Saint even have friends? Or lovers? Leigh Bardugo writes with compelling skill and like Patrick Rothfuss’ The Name Of The Wind, it possesses you and invades your dreams. 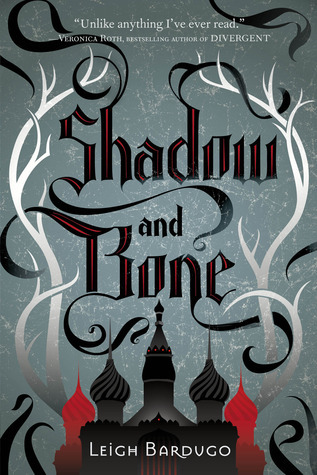 Bardugo’s main characters such as Tolya and Zoya or Harshaw with his Oncat are extremely vivid and their bickering is touchingly genuine, as is their loyalty to the Saint they follow – no matter what. Alina has a fine band of warriors to lead, flawed to be sure and all the better for it. Mal comes into his own in Ruin and Rising, as does the danger loving, witty Prince Nikolai who seeks Alina for his bride. He is the most engaging character, but then again, you are rooting for all of them. Nikolai and Mal are both rivals for Alina’s heart, but one senses this can only end in tragedy for one, or indeed all three. Ruin and Rising is a battle of wits and is all times terrifying and utterly compelling, written with a beautiful eye for detail by Leigh Bardugo. Alina’s journey from the lowest ranks to reluctant Sainthood is like a bright jewel in fantasy fiction. The strangest thing, when it ended, I immediately wanted to start the journey all over again. There is a powerful spell at work here – read it and you too will be entranced. No surprise at all this has been optioned by Dreamworks and Director David Heyman - Order your copy now.